CARLOS HERCULES arguably the best name in the business has been at the top of his game for more than 20 years now. His musical and personal skills have allowed him to work with some of the worlds most influential and iconic music legends. From Belinda Carlisle, Marti Pellow, reggae legend Jimmy Cliffe, The Eurythmics, Lulu, and most recently George Michael. Carlos has also worked with the worlds most current acts like Kelly Clarkson (American Idol winner), Heather Small, Emma Bunton, Mel B and Westlife. Carlos has been Beverley Knight’s drummer of choice for 12 years, which speaks volumes about him both as a musician and a man. Working with these iconic artistes has lead to some fantastic support tours sharing stages with rock legend Bryan Adams, Cher, Alicia Keys and the fantastic Take That reunion tour. Carlos has played prestigious events such as The American music awards and the UK hall of fame, Breast cancer and Aids awareness, and various charitable events and was the first drummer to play at the New Wembley Stadium. 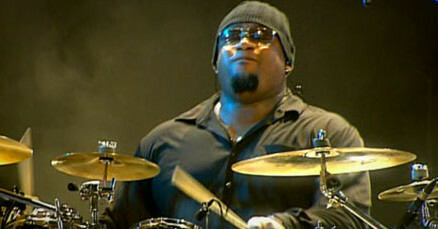 He has attracted articles in both Rhythm and Modern Drummer Magazine. 2009 held a return to Celtic legends The Waterboys including UK, European and American dates and further dates with George Michael and with Beverley Knight promoting her new album. The year finished on a high with the Hackney Empire show with Leano Lewis. With 2010 approaching, Carlos will rejoin Leona Lewis on a full UK Tour beginning in May.